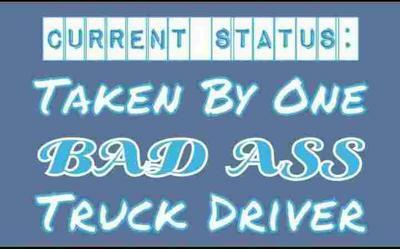 My husband and i been together gor 11yrs and he's been doing trucking for over 6 yrs. At the begining of his trucking career it was extremely stressful because he was out on the road a lot and my son was small at the time. I had to do most of the stuff alone and im not gonna lie it was really hard. But as time went by i started to get more used to it. To all the truckers wife all i have to say is ladies stand by ur man always let them know ur there no matter what. Life is only a struggle if you make it that way! Negative thoughts breeds negative attitudes!!!! Thank you so much for sharing with us Julie. May it provide some strength and another point of view for the ladies. I think it is going to help some realize that what they feel is not abnormal but at the same time, understand that it is a process that can develop into a manageable experience. Also, does not have to be exactly the same forever. Work together ladies and gentlemen and do what you can to make it better for each other. Plan on how things will evolve as time goes on to a more suitable situation based on your needs.